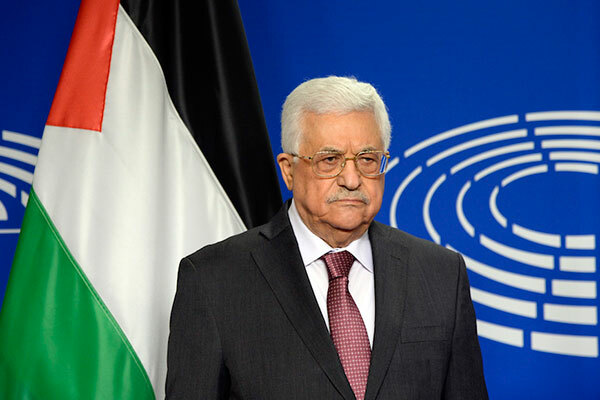 JERUSALEM (JTA) — Israeli Prime Minister Benjamin Netanyahu accused Palestinian Authority President Mahmoud Abbas of spreading a blood libel in his address Thursday to the European Parliament in Brussels. In the speech, which earned a standing ovation from parliament representatives, Abbas alleged that Israeli rabbis called this week for the poisoning of Palestinian water, a report for which he provided no citation and which echoes medieval anti-Semitic libels. “The Israelis are doing this as well … certain rabbis in Israel have said very clearly to their government that our water should be poisoned in order to have Palestinians killed,” he said. He also blamed global terror on Israel’s control of the West Bank and eastern Jerusalem. U.S. Jewish groups also decried his remarks. Abbas may have been referring to a recent report in the state-run Turkish press agency Anadolu, credited to a Palestinian reporter in Ramallah, which claimed that a West Bank rabbi issued an “advisory opinion” allowing Jewish settlers to poison Palestinian water. Neither the rabbi in the story nor the organization he is described as representing appears to exist. 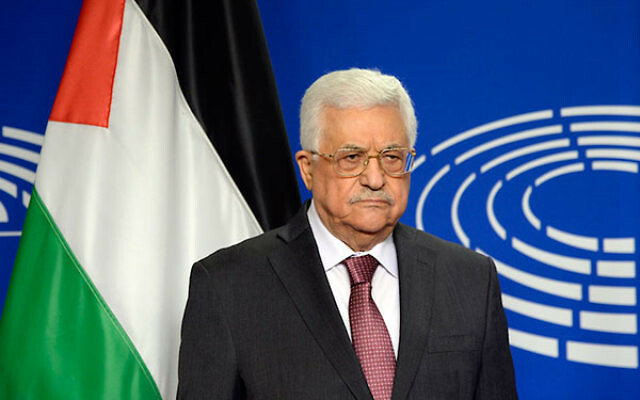 Earlier the same day, Abbas refused a meeting with Israel’s president, Reuven Rivlin, that the parliament’s president had offered to arrange while Abbas and Rivlin were in Brussels. “Someone who refuses to meet with the president and Prime Minister Netanyahu for direct talks, who propagates a blood libel in the European Parliament, is lying when he says his hand is outstretched in peace,” said a statement issued by the Prime Minister’s Office. American Jewish Committee CEO David Harris called Abbas the “great disappointer” in a statement condemning the PA leader’s remarks. “Instead of returning to direct peace talks with Israel, Abbas abused an international platform to deliver yet another tirade full of invectives and falsehoods against Israel,” Harris said. “Abbas’s malicious attack contradicts any attempt he made to verbally offer a hand for peace. Indeed, Abbas demonstrably held back his hand both by his remarks, and by rejecting an E.U. request that he meet with President Rivlin. “Unfortunately, conspiratorial incitement by the Palestinian Authority is not new. His charges of an Israeli effort to poison Palestinian water, and claims of Israel serving as the root of terrorism worldwide, are particularly disturbing and significant,” the ADL statement said. The European Jewish Congress called on European leaders to condemn the speech. “It is unconscionable that a foreign leader proudly states a blood libel in the European Parliament and he receives a standing ovation,” said Dr. Moshe Kantor, the EJC’s president. “If a far-right politician would have made similar comments, they would have been correctly discredited, but Abbas is feted like a hero and this double standard allows him to evade scrutiny in the international arena and the negotiations table. Abbas refused a meeting with Rivlin that Martin Schultz, the parliament’s president, had offered to arrange and mediate. Rivlin said he welcomed the meeting and “was very sorry” to hear of Abbas’ rejection.